I have one of my favorite Tweeps for you today. 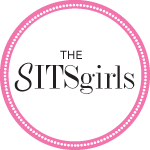 Hi all – my name is Sydney and I run the personal style blog, Chic Stripes. Stephanie reached out on twitter earlier this week looking for someone to help fill her blog posts, so I gladly volunteered. I “met” Stephanie through the weekly #BlogTrends Chats on twitter (Mondays at 9 PM; so good!). I don’t even remember what the topic was that week but I do remember being drawn to Stephanie’s comments and of course her blog. She’s an all-around lovely woman! I wanted to bring you, her readers, something of interest, and loved all of Stephanie’s recent posts on gold foil. So when she requested style inspiration – I knew it had to contain metallics! Metallics are everywhere right now: on the runways, celebrities, and bloggers; in sweatshirts, jackets, skirts and of course accessories. As we transition from winter to spring, now is a great time to break them out – no need to reserve them just for glittery holidays. 1. Tone it down – Wear a metallic top, but throw a blazer over it or loop a huge scarf at your neck. 2. Keep it rough – Play with the textures of our your other clothes – wear denim, knit, suede, or wood – that will contract with the slick metallic and help bring it down a notch. 3. 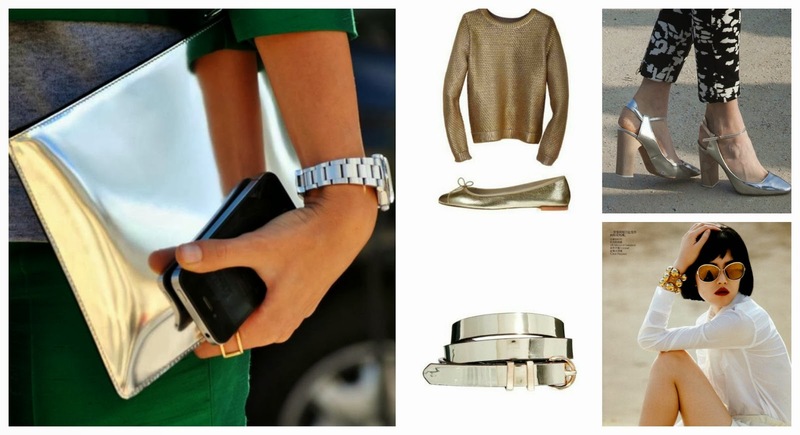 Try just a tad – if you don’t like to go with a trend full force, try just a bit of metallic. Find a shoe or skirt with metallic trim or strip. Look for sweaters or cardigans with metallic thread for a bit of sparkle. Add a metallic bag or flat while keeping the rest of your outfit natural. Don’t forget necklaces, bracelets, rings and even hair accessories – all of these can be great for bringing in a touch of metallic. Remember, a little bit of metallic can go a long way! 4. Go all out – If you’re gonna wear metallic, try looking for a statement piece: a coat, blazer, skinny pants/leggings, or sweater. 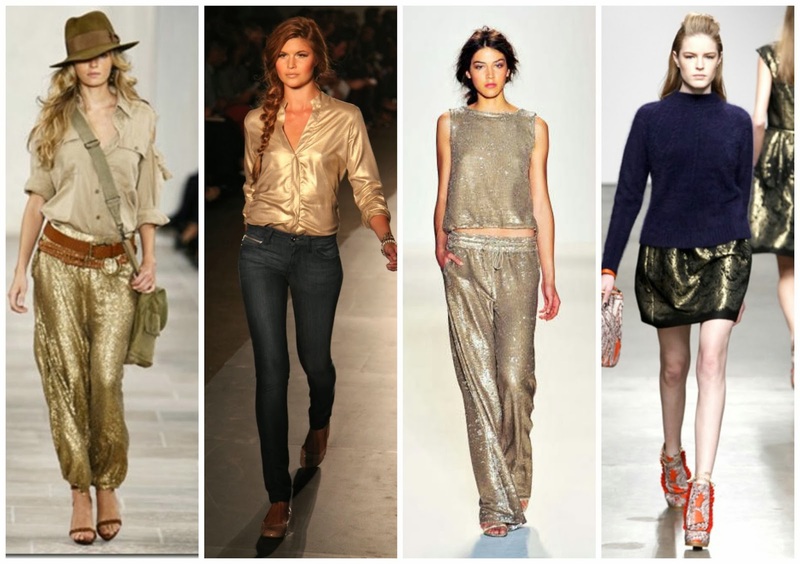 If you wear any metallic this week, I’d love to know how you wore it! Email (chicstripes@gmail.com) or tweet (@chicstripes) me a pic!